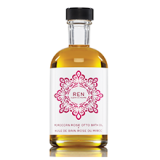 REN Clean Skincare gives you healthier, more beautiful skin that looks younger for longer. REN’s philosophy of Clean Skincare can be summed up in three words: Performance, Purity, Pleasure. Performance: REN gives you groundbreaking product formulation, the latest hi-tech actives, rigorous product testing and clinically proven results. Purity: REN uses only 100% plant and mineral derived actives and is free from skin-unfriendly synthetic ingredients. Pleasure: We believe that the texture, fragrance and experience of using REN can make the world a slightly nicer place to be and make us feel slightly nicer being here.